With the ski/snowboard season in full swing, it is a perfect time to take a look at what Mammoth has to offer in the way of slopeside condos. These are condominiums where you can literally ski from right out the front door. There are some great buys on the market today. Juniper Springs Lodge #316 offers expansive views in a full amenity complex right next to the lifts. This is a one bedroom condo listed at $239,000. Juniper Springs Lodge #219 is a corner two bedroom condo listed at $409,000. Looking for more space? Sunstone #101 is rare three bedroom condo with magnificent views of the Sherwins and also located slopeside. List price is $725,000. The real estate market in Mammoth Lakes for 2015 has shown signs of holding steady with slight increases in median sales for condominiums up from $292,500 (2014) to $306,250 (2015) and the number of condos sold up from 250 (2014) to 270 (2015). Single family homes showed a larger increase due to the influx of new construction. The median sales were up from $619,000 (2014) to $687,500 (2015) and the number of homes sold up from 85 (2014) to 90 (2015). 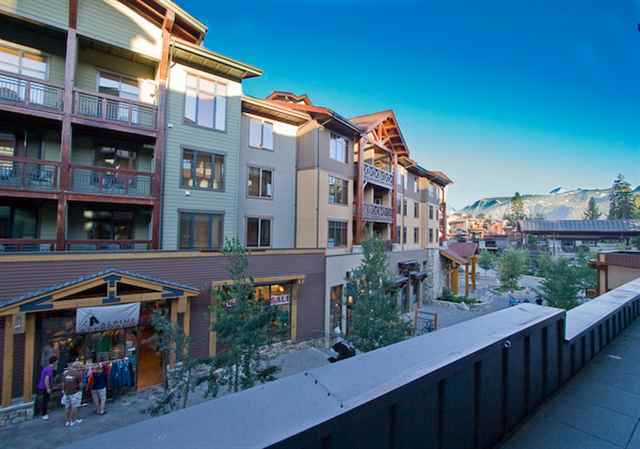 Great buys on Condos at The Village at Mammoth. Listed at $199,000 // Lincoln House Condo // 1 Bedroom/1 Bath // 601 Sq Ft. Listed at $859,000 // White Mtn Lodge // 3 Bedroom/3 Bath // 1459 Sq Ft. Amenities include: Pedestrian Village with restaurants and shops, Underground parking, Pool, Spa and Work Out Room. Features include: Granite Counters throughout, Wood Blinds, Fully Furnished units. For more info, give me a call at 760-709-1938. Came across a great deal on a luxury home here in Mammoth Lakes. The property is located in the exclusive Bluffs Subdivision which sits above the Town of Mammoth Lakes. This property has views of Mammoth Mountain and the Sherwins and borders Forest Service land. The great room is perfect for family gatherings and entertaining. The neighboring custom built homes make this one of Mammoth's premiere locations. If you are looking to purchase a luxurious home in the area, give me a call or contact me for information. Bargain Price for Condo at The Village at Mammoth. I came across a price reduction on a condominium at The Village at Mammoth that is hard to beat! Just steps from the Village Gondola, this one bedroom/one bath condo with granite counter tops comes fully furnished and is now listed at $199,000. If you are looking to purchase a ski condo, give me a call or contact me for more information. 2 Bedrooms/2 Bath/ 1 Car Garage. Sierra Valley Condos - in town location, close to shuttle stop. Spring time is upon us and it is a great time to view homes and condos in Mammoth Lakes as you can really see what you are getting into unlike the winter with mounds of snow. Lately there has been a slight delay in foreclosures hitting the market here. Lots of inventory left and only a few new foreclosure deals hit the market last month and these typically do not last long. There have been some great deals on condos. The pricing on some of the newer condos is incredible, close to 2002 levels. This one caught my eye and is a great value especially since it has a ski-in/ski-out location.